InshaAllah, the weekly discourse of Sayyidi wa sanadi Hazrat Mufti Mohammad Taqi Usmani sahib db, held at Masjid of Darul Uloom Karachi, which focuses on Tasawwuf will be available on our site. 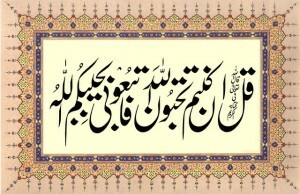 It can be accessed via Khutbaat. Please, pray that Allah SWT make it beneficial especially for me and all the rest of us. Ameen. This entry was posted in O. Audio on July 21, 2006 by 'abd.